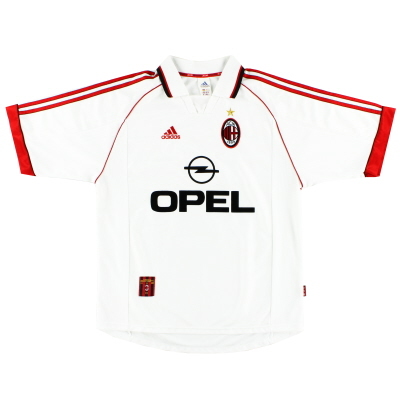 The AC Milan shirt sponsor from 1997 to 1998 was Opel. This is a Serie A 1997-98 Blomqvist match worn shirt directly from my private collection on www.milanshirts.it. I autorize the publication. Ac Milan away white shirt worn and signed by Patrick Kluivert. Name and number printed within the shirt. Available direct from Vintage Football Shirts for just £40.